Tansuo: Maneet Chauhan’s “contemporary Chinese cuisine” restaurant opened next door to Chauhan Ale & Masala House in West Gulch. The executive chef, Chris Cheung hails from NYC’s Chinatown and has created a menu full of traditional and American Chinese favorites. Elegant decor and a hip soundtrack make it a bit of a cross between a club and a restaurant (a clubstaurant). Slim & Husky’s: This “pizza beeria” opened in North Nashville, just outside the bounds of Germantown (dubbed “Buchanan Arts District” but in the future, Germantown West). Founded by three Nashville natives/TSU alums, the restaurant features reasonably-priced pizzas with a 90s hip-hop them and a selection of draft beers that includes local favorites. Cloud IX Hookah Bar & Lounge: It’s a hookah bar. It’s a lounge. It’s also a restaurant with some really decadent food. So it’s also a clubstaurant. It’s in Inglewood, of course. Pastime: This bar and restaurant opened near First Tennessee Park, just outside the bounds of Germantown (dubbed “Capital District” but in the future, Germantown East). It was already the scene of an arrest of developer David Chase within its first week of operation, so it’s clearly a happenin’ junt. Kranky Chef’s Urban Bar & Kitchen: This restaurant actually opened in late December, but I missed it. It’s got a combination of bar food and comfort food as well as a good selection of beers on tap, creative cocktails, and wine and bubbles. It’s located on Lafayette, which is either South SoBro or East Gulch. Longtime Downtown sushi restaurant Ichiban closed in January after a fire. Reports at the time and in the weeks after indicated intentions to re-open, though updates stopped after early February. 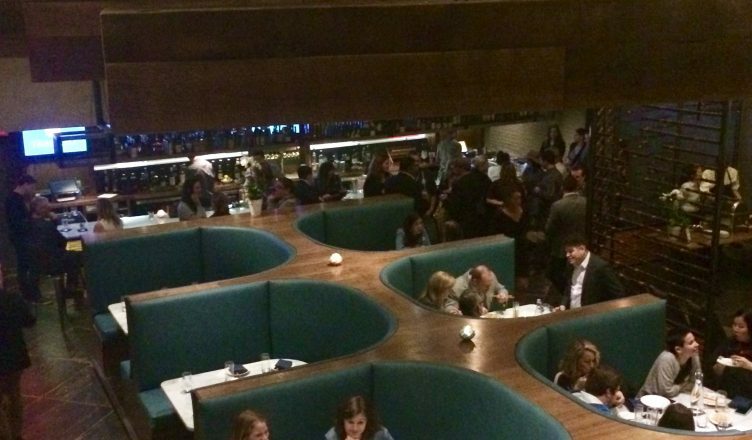 Cantina Laredo, a staple in the Gulch for eight years, closed; almost immediately, plans for a replacement restaurant–Chicago-based Sunda–were announced. April 8: The Nashville Cherry Blossom Festival returns to Public Square Park. Lots of food from a variety of restaurants and catering companies as well as Japanese music and arts, but the best part is all the cosplay contestants roaming the grounds. April 9: Riddim and Spice, the Caribbean food truck is hosting a brunch event featuring jerk chicken and waffles as well as bottomless rum punch and mimosas. There will also be Afro-Caribbean music for entertainment. April 13: Nashville Scene’s Iron Fork celebrates its 10th year with a competition that features four prior champions. Aside from watching great chefs being challenged with a secret ingredient, there’s booze and food to enjoy during the show. Proceeds benefit the Nashville Food Project. April 15: Noble Springs Dairy Farm is hosting an Easter egg hunt with with tastings of their goat milk products, local beers, and food from Smoke Et Al food truck. Admission is $10 per car with proceeds benefiting the The Land Trust for Tennessee. You don’t have to be or have a kid to go and have fun because there will be BABY GOATS TO CUDDLE. April 16: It’s Easter. If you were planning to treat your Sunday brunch like any other, think again. Swarms of floral-laden families will be out to brunch in force. April 22: Jackalope Brewing Company is having a 6th birthday party, which includes the release of its Birthday Cake Hefeweisen. May 11: Generous Helpings is another event where you get to gorge on food and libations in the name of a good cause, the Second Harvest Food Bank of Middle Tennessee.